Books That Changed the World tells the fascinating stories behind 50 books that, in ways great and small, have changed the course of human history. Andrew Taylor sets each text in its historical context and explores its wider influence and legacy. Whether he's discussing the incandescent effect of The Qu'ran, the enduring influence of Adam Smith's Wealth of Nations, of the way in which Uncle Tom's Cabin by Harriet Beecher Stowe galavanized the anti-slavery movement, Taylor has written a stirring and informative testament to human ingenuity and endeavour. 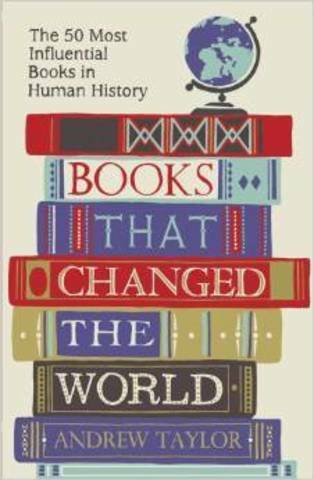 Ranging from The Iliad to Harry Potter and the Philosopher's Stone, the Kama Sutra to Lady Chatterley's Lover, this is the ultimate, thought-provoking read for book-lovers everywhere.